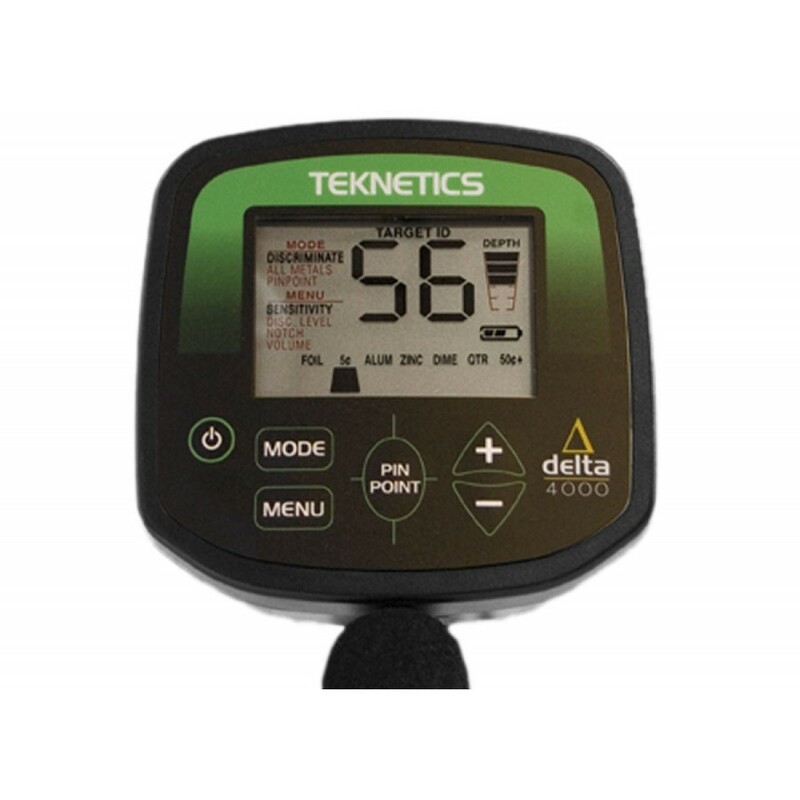 The Teknetics Delta 4000 metal detector features a large, crystal clear and easy to read, identification meter. 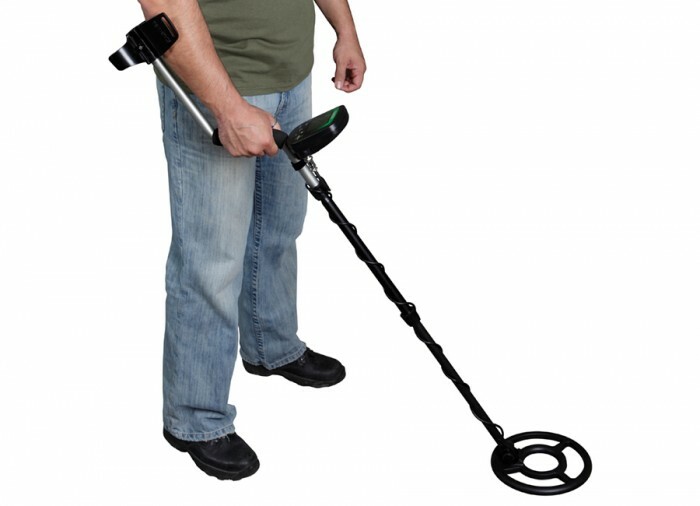 This new design enables even the novice of detectorists to see the treasures they’ve found before they begin to dig! 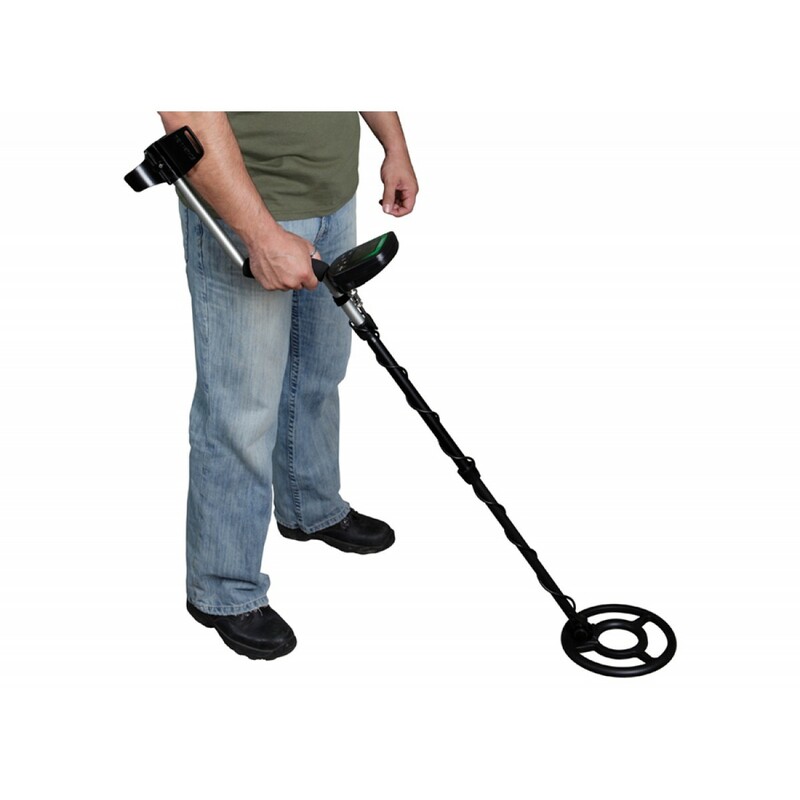 The Delta metal detector is the latest and greatest from the world-renowned Teknetics metal detector brand. 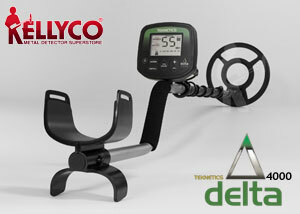 Just released - the Delta boasts state-of-the-art detecting features housed in the most modern of detector designs. 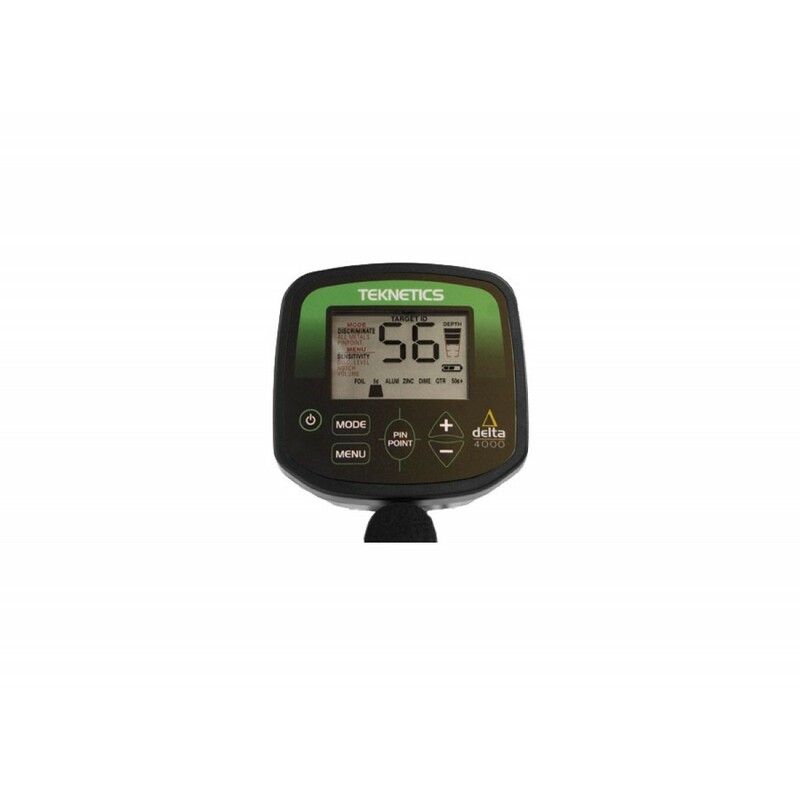 The large control housing features push-button controls, numerical depth readout, an intuitive menu system and a running depth indicator. 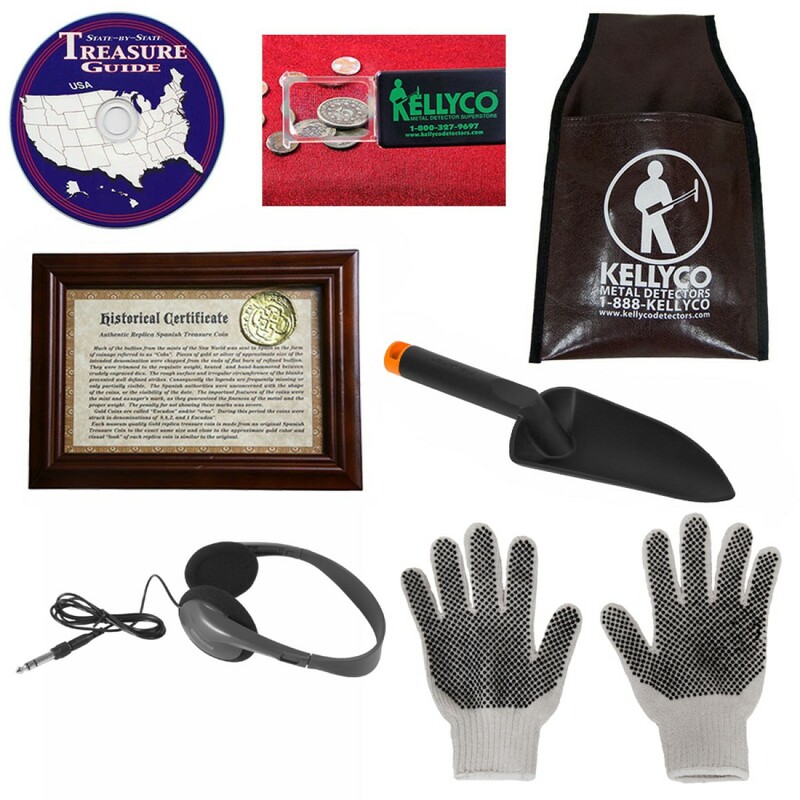 These tools combine to help even the most novice detectorist hunt like a professional! Advanced features include adjustable sensitivity, discrimination by categories, a two-digit numerical target identification system, and two search modes: Discrimination Mode and All Metals Mode. 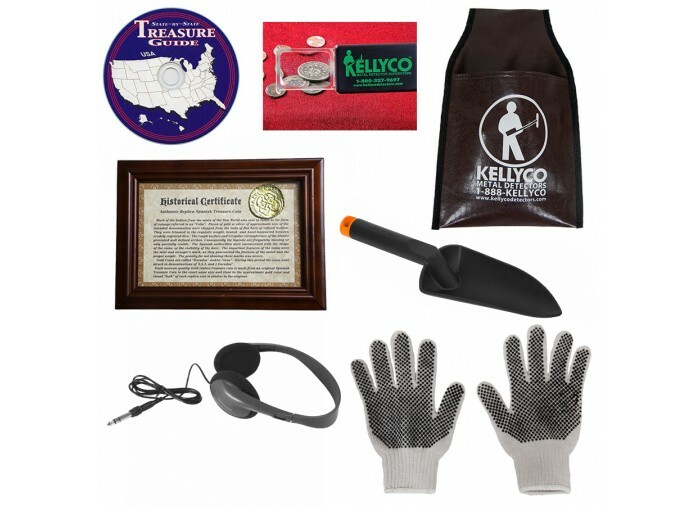 Warranty: Not 2 Years or 3 Years, but a Great 5 Year Warranty! Why? Because We Make Them Better! 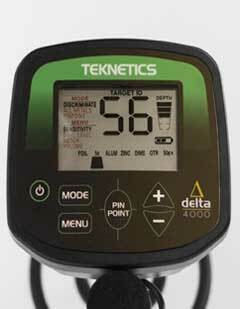 The Teknetics Delta 4000 Metal Detector features a large, crystal clear and easy to read, identification meter. 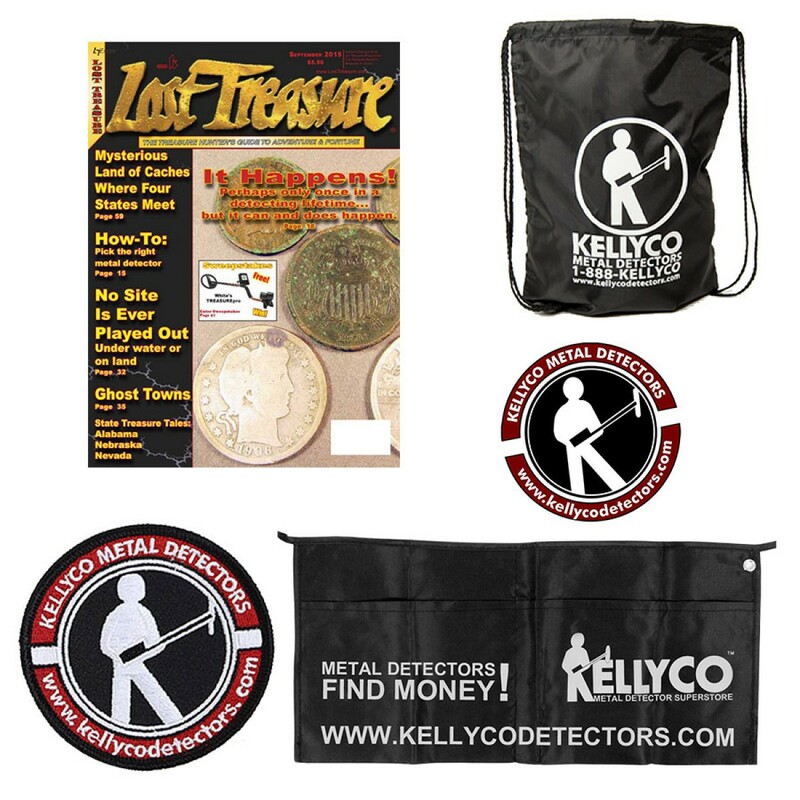 This new design enables even the novice of detectorists to see the treasures they've found before they begin to dig! 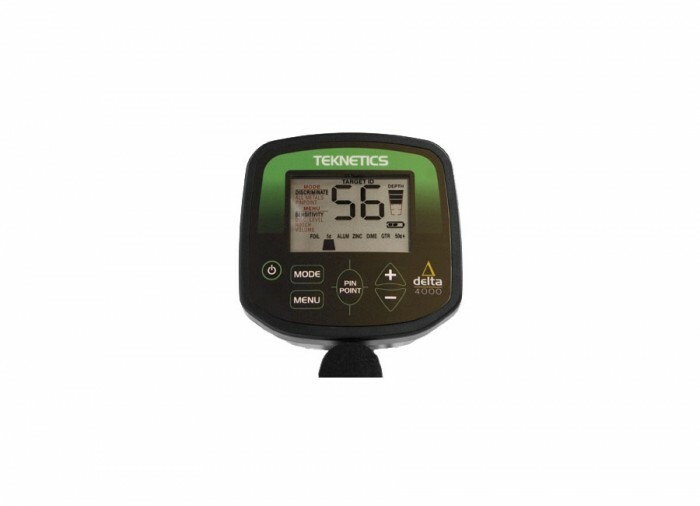 This detector comes brand new, in its original box and with a full manufacturer’s warranty. 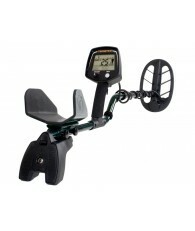 Purchase includes the ALL NEW Teknetics Delta metal detector, an 8” open-face searchcoil system, and instruction manual. The Delta transmits a low frequency of 7.8kHz to alert you to literally every type of treasure buried beneath the surface. 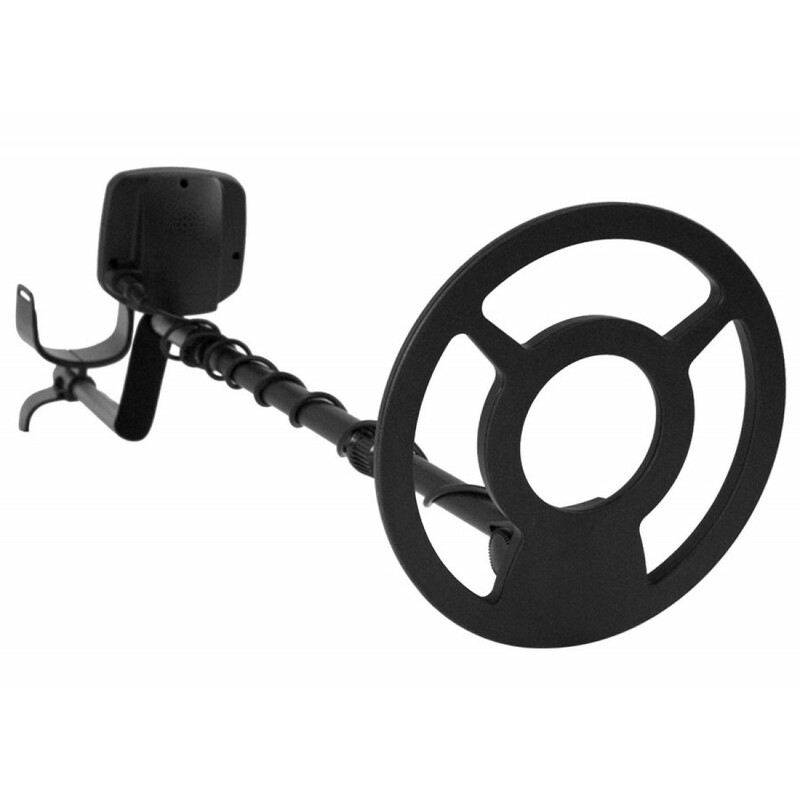 A pre-set Ground Balancing feature with the bonus of fully static, push-button pinpointing capability will accomplish three things at once. First: when in the pinpoint mode the detector will automatically center the target. 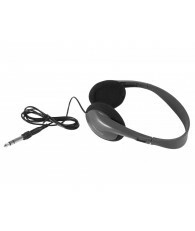 Second: It will increase the audio tone when you are over the target. Third: the Delta will indicate the depth from over 0 to over 8 inches. The Delta comes with a real time “running Depth Indicator” that will show you the depth of all detected targets before you pinpoint. 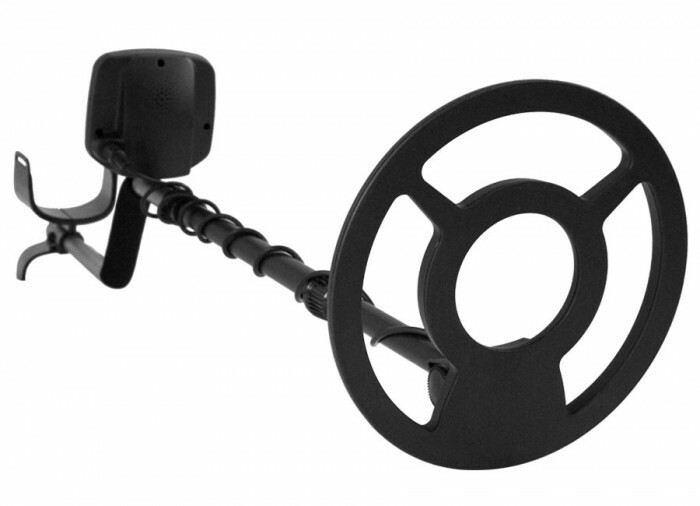 Two-Digit Numerical Target ID System makes identifying buried target fast and easy! 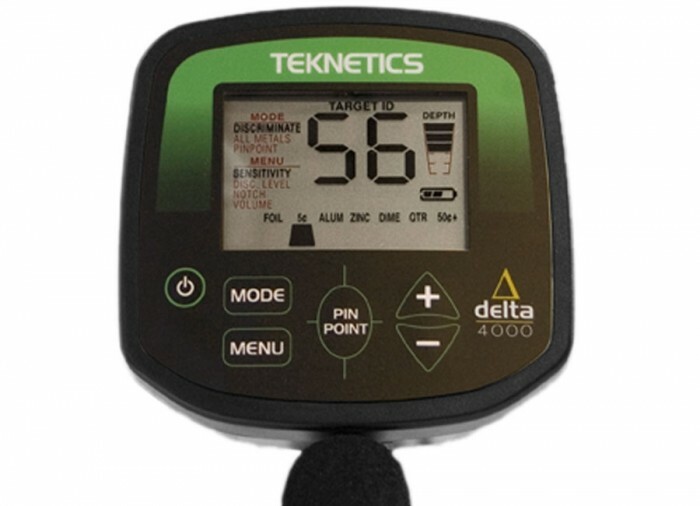 With the Delta, accuracy is improved on all targets and even those older and deeper coins. There are a total of six discrimination categories that will allow the user to quickly make changes to the factory discrimination patterns. When in the field you simply select the discriminate mode and then use the up or down arrow button to make your change. Only one 9 Volt battery is required to operate this new, impressive and affordable machine and it won’t just die on you in the field – it features a battery life indicator to make sure you’re prepared to treasure hunt for hours on end! Have had my Delta 4000 for around four years, and love it. By now I can usually tell how deep a target is by the combination of tone and the usually-accurate depth indicator. This saves a lot of time, as often I don't dig at all if the detector is showing very near surface, I just bend and feel around with my fingers. Other times the indication means really deep, so I save time by digging a big plug out, instead of just a bit at a time. The pin-pointer feature is also fantastic and saves digging time and frustration. It can also be used to figure out weird signals--sometimes the pin-pointer will show that there are actually two very close targets, so instead of maybe skipping a flip-flopping signal that indicates junk, it might be junk beside something good. 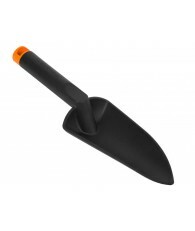 The pinpointer can also be used post-digging to see which side of the hole the target is on. Sort of a 3D usage, by holding the coin at an angle. Max coin I've found is about 10 inches, though that's rare. And a coin at that depth will give an "iffy" signal in my experience until I dig further/broaden the soil to get it closer. 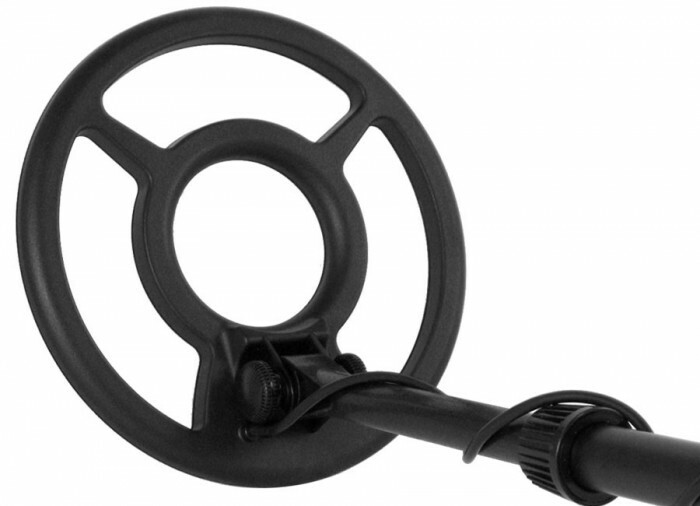 It's lightweight, well balanced, and ergo-dynamic, with the control pad easily reached with thumb. Also only uses one battery, while a lot of other detectors use two. From my earlier Bounty Hunter IV detector which used two--they both last the same time between changes, 20-26 hours (with headphones). So that's half the cost of batteries over the detectors' lifetime, might add up! Finally, there's the "cherry-picking" mode, which I guess all mid-high detectors have, but the Bounty Hunter IV for instance didn't. When tired at the end of a session, I notch out all responses below "zinc"--so pretty much the only signals I hear are silver or a coin (or some weirdo thingamabob). This mode is also great for tough to dig spots like very dense turf, when you don't want to spend ten minutes cutting through sod (or spending time evaluating an iffy signal) just to find a pulltab. The Bounty Hunter was a terrific entry-level, and this I guess a terrific entry level B or low/mid range detector. But I love it so much that even if I win the lottery I might not "upgrade" until it breaks down. And no sign of that--it's very sturdy and reliant. It does take a learning curve; at least for me took months to really feel what it was telling me. I'd suggest not using discrimination modes or other selective stuff at first--just put it full out and dig every signal, so you can first use the indicators and tones alone to eventually make a good guess at what might be there, and also which targets/iffy sounds probably aren't worth it. Then you can get fancy with the options. Two cons: This hasn't happened recently, but sometimes before it would make a constant beep-beep noise even if sensitivity were turned down. While swinging if it got a good hit it would go back to normal but all times in-between the constant beep-beep. I :think: this mostly happened near hefty power-lines or maybe underground cables, not sure. But still, it's a relatively minor and rare problem and not enough to knock it down from my score of five stars. The other con is I guess normal for non-beach-specific detectors, in that sensitivity has to be turned down on wet sand or it'll give false signals. 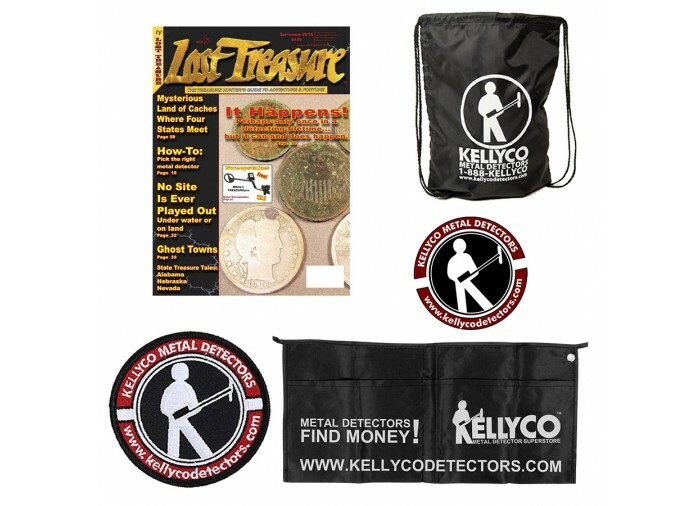 Overall--terrific detector--affordable (especially with just one battery), well-made, good functions to select per session or area, light, and after awhile you can even predict sometimes with good accuracy what a particular tone/solidity-of-tone/indicator will bring. This is the best detector I've ever had. I've tried almost all the name brands. I really like this better than the Garrett Ace Series. I've even had the Ace 350. This has more tone ID's, better variable tone and volume pitches when pinpointing, numerical and categorical display value for signals, which gives more info. For example, looking at the number rating for a pull tab, it is very close, but slightly different than a nickel, but if another detector doesn't have that, you don't know if it's a pull tab or a nickel without digging, like on the Ace Garrett. The tones on the Ace always bothered me and sound like Wheel of Fortune game show, but this detector is much more practically designed, and try Googling the "design team of the Teknetics detectors" to see what I mean. It is a work of art and I am a convert to Teknetics. 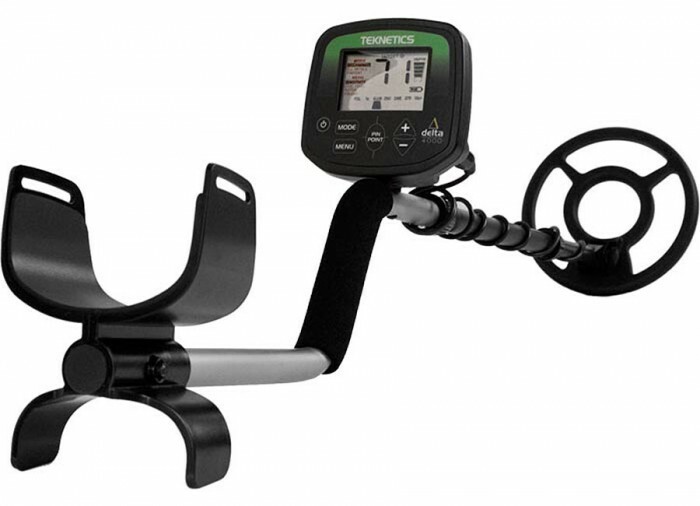 Please really consider Teknetics, and I think you'll be happy and more confident in your detecting because the company is putting out the best product with the best technology for the money, very well laid out machine. 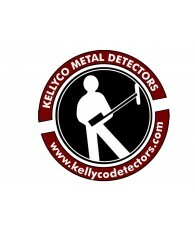 Today I received my new metal detector from Kellyco and found it to be very easy to assemble, it only took about 10 minutes to complete without even looking at the manual. OK I did read it thoroughly last night, I downloaded it from the Kellyco Website. After assembling the thing and unpacking all the goodies, I went out the door of my hobby shop and started around the side of my building. Leaving the unit at the default mode at startup (which is discrimination mode), I bumped the sensitivity up until I started getting chatter, then reduced it one bump at a time until it settled down. I started swinging and after a dozen or so swings I got a rather high pitched signal. Looking at the readout it showed as a Quarter, it said 3-4 inches. I said what the hay I'll dig it just to see. 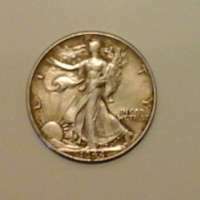 Lo and behold I found a 1976 bicentennial quarter in less than 5 minutes of searching. Within 20 minutes of taking it from the Fed-Ex drivers hands. After only tinkering around with a unit which had been purchased from Wally World 5 years ago and never finding anything but bottle tops, this Teknetics Delta is a world apart. I had several coins laid out by my son in the yard and I found each and every one of them and the unit identified all of them correctly. 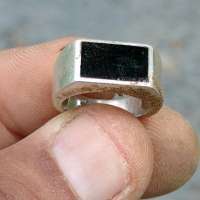 I marked a zinc object at 6 inches and dug it, It was a wing which came from a small airplane I remember playing with as a child. The wing was at the depth of the digging tool which is approximately 6 inches. I cannot compare this unit to any other unit since I probably (truly) didn't know how to set the unit I had before. I will say with the simplicity of using this unit right out of the box, the correct identification of objects found and proper depth determinations of the unit, it has given me a confidence that I have purchased a very good machine which I have immediate confidence.This in turn has given me more desire to go out and find history. Received my Teknetics Delta 4000 today, put it all together. WOW. I metal detected my yard for over a year with an old Bounty Hunter. I turned up a lot of junk (never any coins). Right out my back door I got a half dollar 6" down. After an hour of hunting I was $1.31 richer! Very pleased with this detector! Highly recommended. The Delta is my first detector. 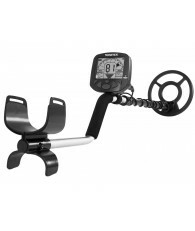 I spent hours reading numerous reviews and comparing features of other detectors, before purchasing the Delta. I can save you some time, if $300 is what you have to spend, buy the Delta. It is very light, I have shoulder issues and I remain pain free after several hours of swinging. I love the fact that it only uses one 9 volt battery and will run for 20+ hours on a new one. 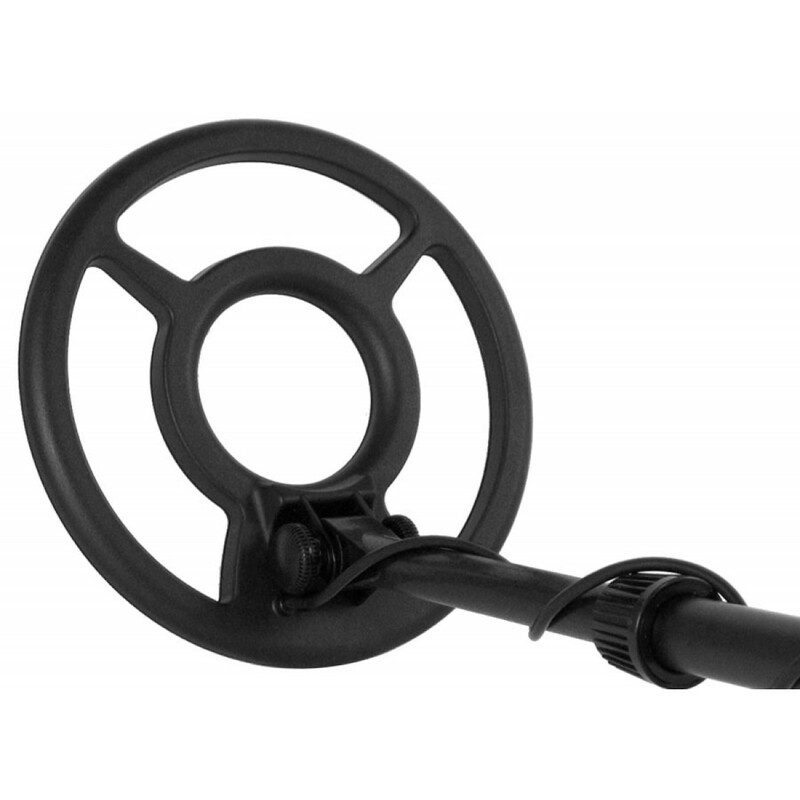 Pin pointing is spot on and it has a 5 year warranty! Target ID is good and the depth is surprising. I have found coins at 8+ inches on numerous occasions (with the stock 8" coil). My finds have ranged from civil war buttons to silver and jewelry too. If I had it to do all over again, I would still buy the Delta. If I upgrade, it will be another Teknetics and I will keep the Delta as a second machine. As usual, Dennis was obliging in accepting my recent phone order. 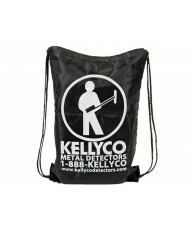 It is always a very pleasant experience dealing wth all of the staff at Kellyco!